Jo Storm is a designer and metalsmith based in Chicago IL. Graduating from the Gwen Frostic School of Art she honed her metal fabrication skills in New York where she was the studio assistant for Biba Schutz. 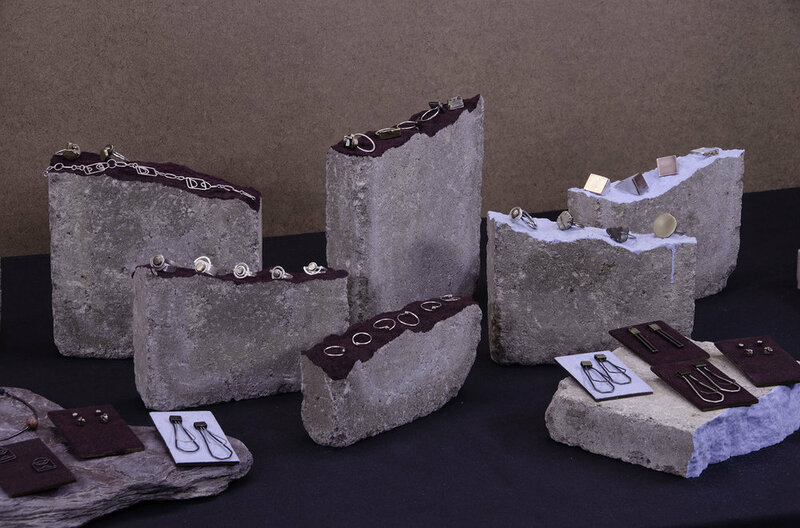 "Stormway Studio is not only the place where I engage my metalsmithing skills to produces badass wearables. It is also a state of mind that allows me to design, unburdened by societal pressures that dictate how femininity, masculinity, and adornment are to be performed. My work is architectural, enigmatic and comfortable to wear. My target audience are people who are confident in their style; those looking for quality, longevity, and affordability in their unique handmade jewelry; and individuals who want to know the maker of their treasured goods." For more information about the studio and to set up studio visits please email us with your inquiries and remember to follow us on instagram.